Once you’ve found the perfect new Chrysler, Dodge, Jeep, Ram, it’s time to seal the deal – that’s where the Finance Department comes in. Our accommodating on-site staff is here to help you through the entire car-buying process, whether that’s showing you our latest Jeep financing offers, RAM financing offers, or helping you secure a car loan so you can drive off the lot and into Bridgeport in a new Chrysler, Dodge, Jeep, Ram. Even if you are looking for help with bad credit car financing, we are here to help! Feel free to browse our new inventory, determine your monthly payment, and apply for car financing before you even walk into our Greenwich area dealership. Need help deciding between financing vs. leasing? Feel free to reach out! We want you to drive home to Stamford in a new vehicle you’re excited about that also works for your budget. 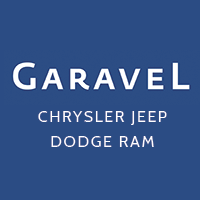 When looking for the most competitive and flexible financing options on a new Jeep, Norwalk, CT drivers can rely on the finance team here at Garavel CJDR!